Rhys was born in Bath, England, of a family that was half Welsh, half English. She was educated at London University and then began her career with the BBC, where she became a drama studio manager. 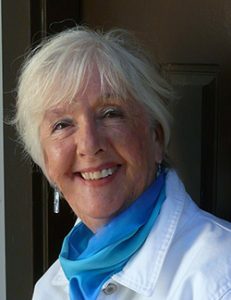 The British climate forced her to escape to Australia, where she worked for Australian Broadcasting before meeting her future husband, a fellow Brit who was on his way to California, which is where she settled, raised her family and has lived ever since, although she now spends her winters in Arizona. Rhys’s books have made bestseller lists, garnered many awards, nominations, and starred reviews. She is a New York Times bestselling mystery author, winner of both Agatha and Anthony awards and has been nominated for the Edgar Best Novel. When she is not writing, she also loves to travel, sing, sketch, hike and play her Celtic harp. I truly admire authors who can write across multiple genres, for diverse reading audiences and different age groups – and most importantly – do it well! With that in mind, I fully intend to check out the several mystery series Rhys has also written, as I have very eclectic reading tastes and like to mix up my genres. 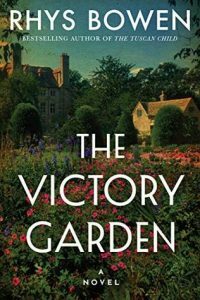 The Victory Garden is the third in a small series of war-time stand alone novels, which form exceptionally thoughtful, sensitively written and well constructed works of social history and commentary from the times. The book was littered with strong moral messages: Death and destruction of the human mind and body to breaking point; women’s empowerment; the role and rights of women in society; the breaking down of class barriers; the culmination of the Suffragette movement; witchcraft or simply a new way of healing? – all difficult and controversial mores of an early 20th Century society at war. All this and much more, laid bare and raw, in The Victory Garden. The issues were incorporated seamlessly into a storyline which was well constructed, flowed smoothly and moved along at a pace which kept me engaged, interested and eager to know the eventual outcome. If I had one very small niggle, it would be that for me personally, perhaps this story dealt with too many issues and none of them in any great depth. However, I appreciate that to have expanded on many of them in any more detail, would have made The Victory Garden a chunkster of a book and would probably have verged on the non-fiction by the time it was finished. So in retrospect, I came to the conclusion that Rhys got this this just about spot on and opened up plenty of opportunities for me to carry out more detailed research on individual aspects of the story in my own time – which I did! The cast of characters were all well defined, strong and brought to life with every stroke of the author’s pen. Whilst none of them was perfect and all flawed to one degree or another, each was given the bandwidth and opportunity to grow into their respective roles, both physically and emotionally. Especially the main protagonist Emily for whom life is turned completely upside down and will never be the same again, after the many life-changing experiences she has to adapt to and overcome. There was also some lighthearted banter and almost comedic exchanges between Emily and her new found friends, which whilst they highlighted the vast differences in class structure and life expectations between them, also served to bring them together as a force to be reckoned with, as they journeyed, united, on their voyage into a future of self discovery and empowerment. They learned to work as a team towards the common goal, whilst still respecting their own self-imposed boundaries and conventions, still not yet confident enough to challenge them completely, but knowing that the time is near. Because of the lifestyle and social changing nature of World War I, much of the story revolves around female friendships and struggles, although the male characters were also treated to the same level of nurture and care, as they too had to adapt to their new and changing roles in a society which had hitherto held them in much higher esteem than their female counterparts. This also begged the question in my mind – who really had the greatest changes in social standing and convention to deal with – men or women? 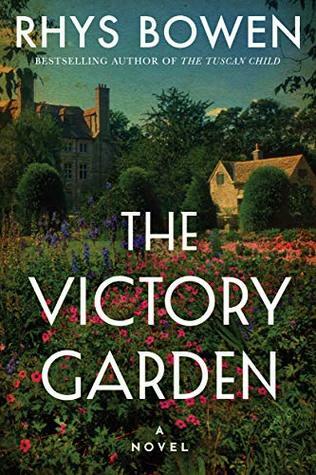 The Victory Garden was a complimentary download, provided by Little Bird Publicity and facilitated by NetGalley. However, any thoughts or comments are my own personal opinion and I am in no way being monetarily compensated for this, or any other article relating to the book. 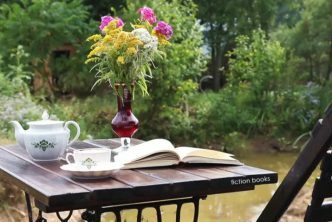 From preference, I do not agree with ‘rating’ a book, as the overall experience is all a matter of personal taste, which varies from reader to reader. However some review sites do require a rating value, so when posted to such a site, The Victory Garden will attract a 4 out of 5 star rating. Hi Yvonne, many thanks for your kind words, its good to be back. 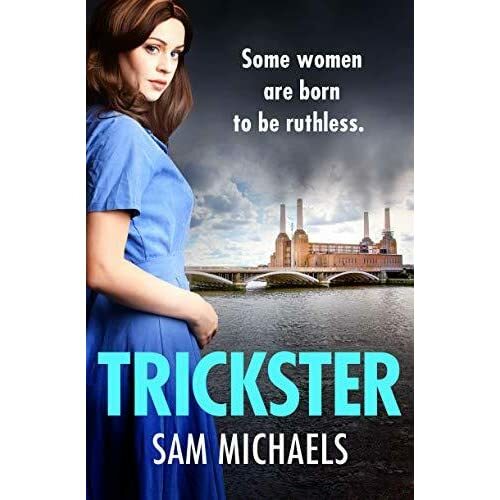 I’ve come across so many books of this genre recently that to be honest it would take something that promised to be exceptional to make me want to read it. That said, I’ve heard it told (by yourself included) that this author’s books are really good when it comes to social commentary that I’ve actually requested a copy of The Victory Garden at the library. I think that just about every genre imaginable must have been explored by one author or another now and I’m not sure where we go from here to find something completely unique and original any more – at least nothing that I might want to explore, as I am guessing that the next generations of upcoming authors will have their own ideas about storylines they want to share! Rhys certainly knows how to express a social commentary of the times in which her stories are set, without becoming overly preachy, or couched in too much technical detail and it was good to hear that ‘The Victory Garden’ is already available to be ordered in local libraries, as so many books don’t seem to make it that far. I have this one on my wish list from when you featured it earlier. The Tuscan Child (by the same author) is waiting in my Kindle. I’m sure if I enjoy it, this one will get downloaded, as well. I still have ‘The Tuscan Child’ and ‘In Farleigh Field’ lined up on my Kindle, but goodness knows when I shall get around to reading them! I also want to try Rhys’s Victorian murder / mystery series, ‘Her Royal Spyness’, which sounds good and very much in the style of Agatha Christie storylines. Let’s face it though, there are just too many new authors coming on the scene to have time to devote exclusively to one favourite! I don’t read enough in this genre and have not read anything by Rhys Bowen so it’s time I did something about that I think. I bought and downloaded this to my Kindle a while ago and judging by your excellent review I should get to it sooner rather than later. It seems to take me an age to read a book just lately, however ‘The Victory Garden’ isn’t a very difficult or lengthy book to digest, so I think you would probably rattle through it quite quickly, without being in the least bit disappointed, if you wanted to use it as an infill for some of your more weighty reads. The Victory Garden sounds like a great read, I enjoy stories about female friendships and struggles. Interesting about the changes doing on during WWI, the women had to go through alot at home with the men away. 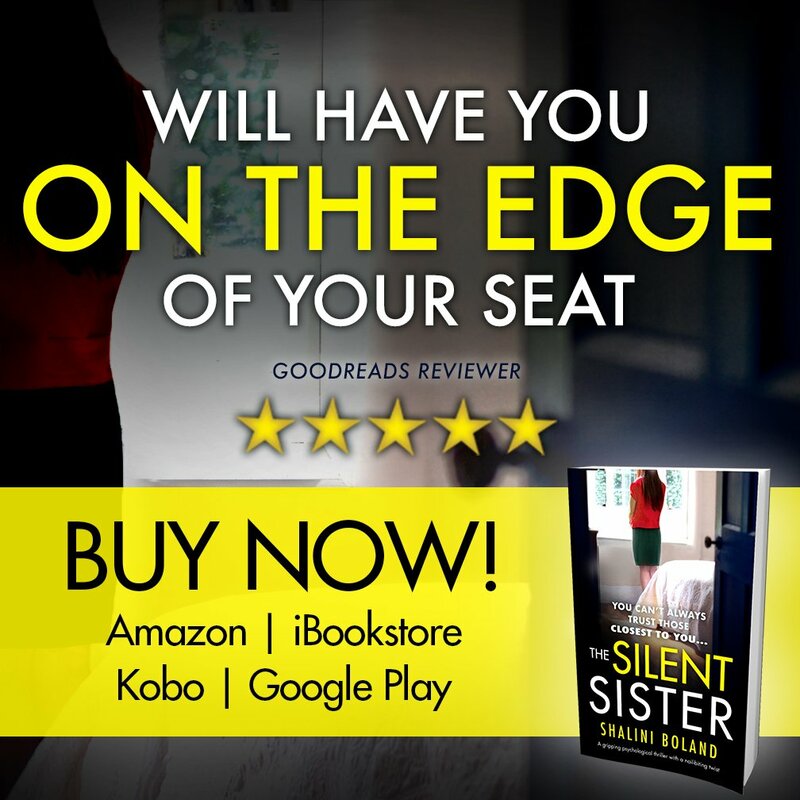 If you enjoy female friendships and struggles, this is definitely one for you. There are some very emotional and serious moments in the story, but they are tempered with a few laugh out loud moments which release the tension and lighten the atmosphere. Women certainly changed the face of the country during both World Wars, when the men were away fighting on the frontline, however World War I saw the most momentous upheaval for both men and women in my opinion. Yes – women gained the vote, were expected to work at jobs traditionally exclusive to men and needed to take charge of the family’s wellbeing and finances. However, one should really sit back and think about all the different ways in which men had to adapt, when they were de-mobbed and arrived back home. Their women were out working full time in many cases and doing the manual jobs which men had traditionally always taken upon themselves. They were therefore financially independent, which would probably have been the most difficult of all for their menfolk to comprehend, along with women’s freedom of speech and independent opinions. I think I know who had the most adjustments to make in their fast-changing world. Rhys writes with great clarity and empathy about a very complicated subject! I think this is something my Mum would enjoy. Why is it that I can still believe myself to be quite young and trendy, until someone says something like that, and then reality hits home! I probably am old enough to be your mother and I guess that some of my reading choices don’t really appeal to you. Anyway, regardless, ‘The Victory Garden’ was a good middle-of-the-road read, full of social commentary about an important part of our history- most enjoyable!